Melissa Givens, American soprano,moves and excites audiences and critics alike with a rich, powerful tone, crystalline clarity, and intelligent musical interpretations. 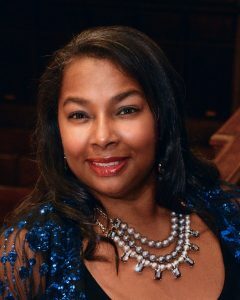 Especially noted for her expressiveness and elegance on the stage, she has been hailed as a singer whose music making is “consistently rewarding” and “a pleasure to hear.” Givens is also an extremely versatile artist, regularly performing repertoire from the Baroque era through music of the 21st century. Recent performances include the premiere of Daniel Gawthrop’s Advent cantata, Hope of Israel, the national tour of Craig Hella Johnson’s groundbreaking oratorio Considering Matthew Shepard, chamber music performances of Handel’s Deutsche Arien with the Cornucopia Baroque Ensemble, and art songs of Leonard Bernstein with Genevieve Feinwen Lee. Upcoming engagements include faculty recitals at Pomona and Scripps Colleges, and the release of her second solo recording, The Artist at Fifty, a recital of art songs from composers’ fiftieth year. A champion of collaborative musical endeavors, Givens performs with various chamber music groups, including Grammy© nominated Ars Lyrica Houston and Conspirare, the 2015 Grammy© winner for Best Choral Performance. Her solo appearances on their major label releases have received enthusiastic reviews. She can also be heard on her debut solo CD, let the rain kiss you. Givens is an Assistant Professor of Voice at Pomona College. She earned a Doctor of Musical Arts degree from the Moores School of Music at the University of Houston, a Master of Music from the Shepherd School of Music at Rice University, and a Bachelor of Arts in Music from Davidson College. She is a native of Buffalo, New York.